A little bit strange, but very tasteful. That's Tampopo, one of our high lights of culinary cinema. The perfection of Cinema Culinair fits perfectly with the perfection in the Japanese cuisine, with a bit of tongue in cheek. The film is a great take on Japan in the eighties. In Tampopo, Japanse director Jûzô Itami shows us the Japanse tendency for culinary perfection. This post-modern comedy from 1985 is about a woman, Tampopo, who wants to be trained to be the perfect noodles-chef. A delicious film for anyone who loves cinema, food or Japan in the eighties. Winner of the Japanese version of the Oscars, a classic film not to be missed at Cinema Culinair. The film is remastered in 2018. Tampopo kent een mooie spreiding van bijzondere gerechten, zoals: oesters, noodles, sake, spaghetti, oshiruko, buikspek, fruit en kaas. En niet te vergeten: de perfecte noodle soup, of ramen soep zoals dat in goed Japans heet. 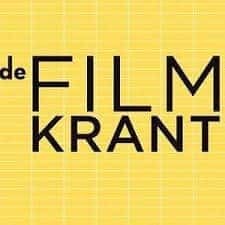 Dat is een van de vele hoogtepunten in de film. What you see, is what you eat. Timed exactly with the film. The culinary script of Cinema Culinair is leading for the chef and the service. Good film + good food + great timing. The clou is in the latter. An example. When Tampopo eats grilled pork belly at 1 hour 16 minutes and 36 seconds, we want our guests to taste exact the same thing. One minute sooner or later is the difference between a good and a fan-tas-tic experience. What matters is that you will not only see and hear the film, but also taste and feel it. when is the next show of cinema culinair of this film? We screen Tampopo once every year, so please check out our calendar, so you won't miss this special occasion. Tampopo was restored in 2018 in 4K high resolution and was screened in cinemas after 30 years. Searching for the perfect recipe for Ramen Noodles? Here it is!